Working from home today and overheard my 7 year-old and his buddies talking about what workouts could “actually give you a 6-pack!” Huh? Since when are 7 year old boys concerned with 6-packs? Since when do they know about 6-packs? 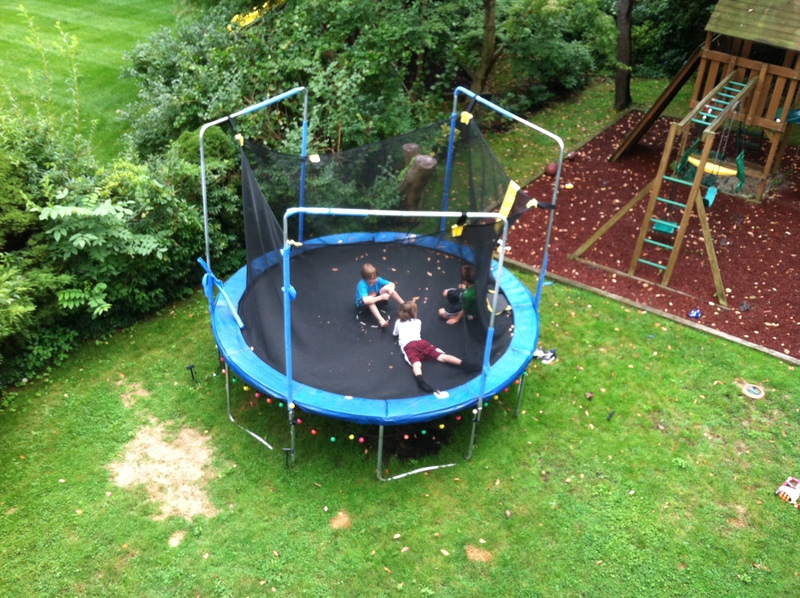 And why are they sitting on a trampoline and talking about workouts rather than working out on the trampoline – I thought that behavior was reserved for people like me, middle-aged suburbanites who like to talk about exercise over dinner and drinks. This entry was posted on August 27, 2012 by snoeberry. It was filed under parenting and was tagged with boys, exercise, middle-aged, six pack, workout.